In this episode, Glory Enyinnaya joins the show from Nigeria, where she is a Change Management Consultant and Manager of the Centre for Research in Leadership and Ethics at the Lagos Business School. 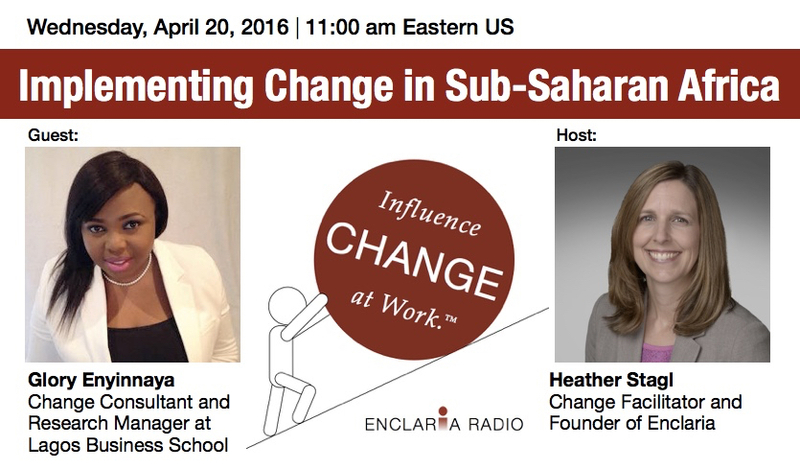 Listen in as she shares her research and experience about implementing change in Sub-Saharan Africa. We’ll explore the challenges of implementing change in a developing country, and how regional culture affects leadership and change management.